Make silk bedding as customers requirement. 1. Please contact us and make an inquiry before place the customized order. 2. We will quote you the price. 3. If you are satisfied with the price. Please fill in the blanks with your customized size (Finished Size). 4. Add quantity. For exmple, If the price of your customized silk flat sheet is $160, Please add quantity to 160. Then the final price is $160. 5. Add to bag and checkout. About Seamless - Ususlly the width of silk fabric is 45"/ 114cm, most of silk beddings have a join across the sheet, the seamless silk beddings are made of extra wide silk fabric,rare and much expensive,and nobler. This Silk Product is not only beautiful – it is also healthy! 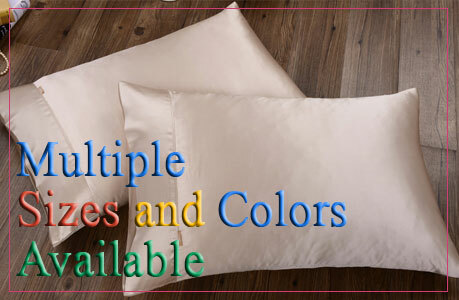 Silk is a naturally hypoallergenic material that is inhospitable to dust mites and resists moisture, mildew and odors.Providing a very healthy sleep environment. We could do custom order for any dimensions as your request.